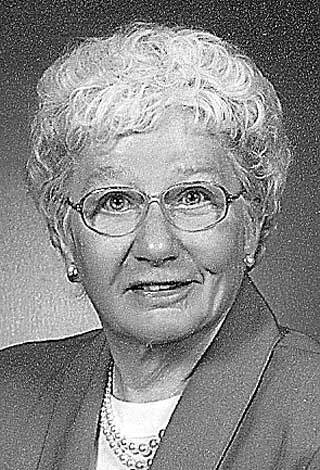 Mary Katherine Full, 92, of Vienna, passed away August 10, 2018 at Camden Clark Medical Center. She was born January 2, 1926 in Vienna, the daughter of the late Joseph and Nettie (Wheaton) Armstrong. Mrs. Full was a homemaker, a 1943 graduate of Parkersburg High School and a member of the North End Church of Christ. In 1948 she married Paul Madison Full, who preceded her in death in 2001, after celebrating their 53rd. anniversary. Mary is survived by one son, William of Belleville; two daughters, Anna Anderson (Walter) of Virginia, and Mary Beth Full of Vienna; four grandsons, Roger (Erin) Full of Colorado, Benjamin Full of Washington, Joshua (Erika) Elzey of Massachusetts and Mark Elzey of Virginia; one granddaughter, Stephanie (Mike) Young of Vienna; thirteen great-grandchildren, Kyle Young; Alexis, Brayden, Monroe, Anniston, Lindley, Crewe, Mina, Allan and Samantha Elzey; and Levi, Gage, and Norah Full. In addition to her husband she was preceded in death by two brothers, Robert and Joseph Armstrong; and one sister, Connie Booke. Funeral services will be 11:00 A.M. Wednesday, August 15, 2018 at Lambert-Tatman Funeral Home, 3005 Grand Central Ave., Vienna. Burial will follow the service at Evergreen North Cemetery of Parkersburg, WV. Visitation will be from 2:00-4:00 P.M. and 6:00-8:00 P.M. Tuesday at the funeral home in Vienna.